A person with negative information reported from multiple of the above factors will result in a lower credit score than one who has one or no negative information reported. Most who are considering bankruptcy are not delinquent with just one account or have just one account in collections; most people considering bankruptcy have tried everything in their power to maintain payments on all of their debt by juggling money they have to pay their bills. This may result in an account getting paid one month while letting another account become delinquent then do the reverse the month following. Eventually, all accounts become delinquent because of an unforeseen event such as illness, loss of employment or unanticipated expense that disrupts the cycle. Bankruptcy impact on credit reporting. which allows for a constant increase in the time since the last reported delinquency. Bankruptcy impact on credit score after bankruptcy. As a result, it is not uncommon for a person to see a 80 to 150 point increase in their credit score in as little as twelve months after filing because the bankruptcy impact on credit score. At The above images showing credit score and projected credit score are from real clients. 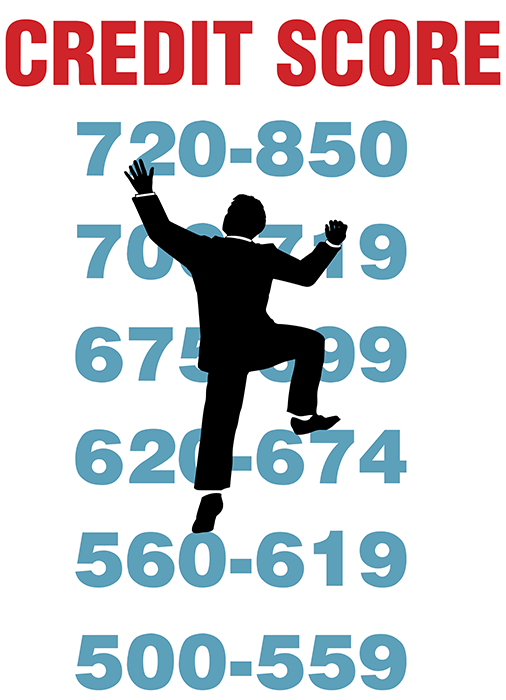 The credit score increase is even greater if you have a car or mortgage that you're assuming responsibility for even after the bankruptcy as this debt will provide positive reporting on your credit report for timely payment history. Some of your old credit card holders may actually reissue another credit card in your name. Why would a creditor do that? The creditor knows that most of your prior liabilities have been discharged leaving disposable income for the repayment of that new credit card or car loan they're offering.